Scandinavian Modern was first published in 2003 but it has just been revised and reissued by the publishers Ryland Peters & Small. The authors, Magnus Englund and Chrystina Schmidt, are co-founders and directors of Skandium, the design store company in London. 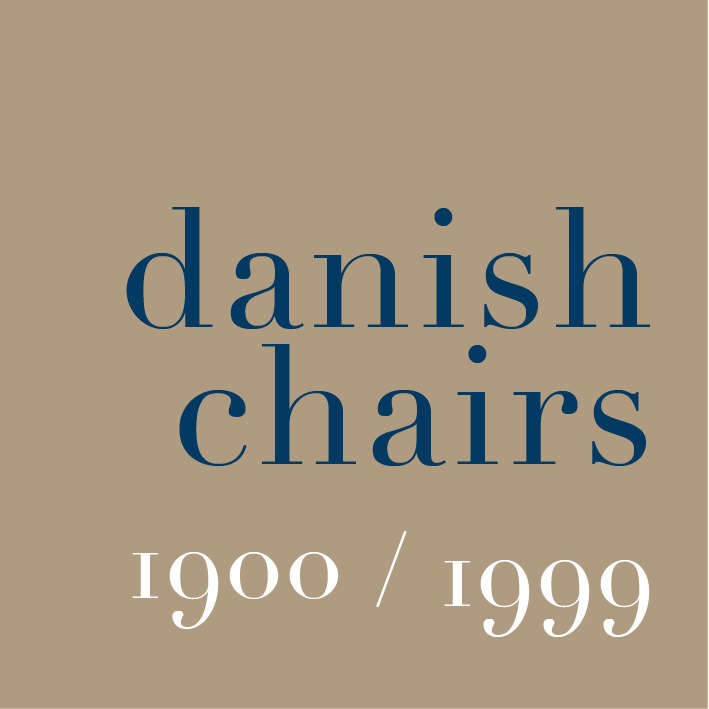 Their first store opened in 1999 and they now have stores in South Kensington and Marylebone with a store south of Wigmore Street in partnership with Fritz Hansen and a large retail space in Selfridges so clearly they understand well the market for Scandinavian design in England. An introduction to the book puts classic mid-century design in context and examines a short period of declining popularity for Scandinavian design before new young designers began to gain prominence and gain more and more commissions in the late 1990s. The first section of the book, headed Elements, covers wide-ranging ideas about design that are set out material by material - wood, glass, textiles, ceramics, metal and plastic - before there is a short separate discussion about light - well-recognised as an important influence on Scandinavian design. The second part of the book, under the general heading Living, focuses on specific homes and specific designers including the home of the ceramics designer Grethe Meyer; the home of the Finnish architect Matti Sanaksenaho and the home of the furniture manufacturer and retailer Michael Asplund. These are the houses of design professionals and reflect the passions and interests of their owners, so they must be some of the most outstanding homes in Scandinavia. My only observation here, or maybe it's a criticism, is that in reality few of us have the option to create a living space for ourselves with such focus. Some of the major mid-century designers and their works discussed here - including Børge Mogensen and Poul Kjærholm - may be recognised in England although other designers - like Antti and Vuokko Nurmesniemi, from Finland - are less well known here. The photographs, taken specifically for the book by Andrew Wood, show rooms along with some details of individual items of furniture or lighting. As these are actual homes the rooms give a clear idea of how important the whole space is, not just one or two things in it, but also show how in Scandinavia it is the mix of classic and new furniture that is usual and the overall design aesthetic that is important. Few of the rooms have curtains and those are simple - plain white and transparent - so there is little obvious use of pattern in these houses. The effect in most rooms is achieved through subtle ranges of tone but then, of course, the texture and colour tone of the various materials is also crucial. For instance, the dining room in the home of Børge Mogensen is in a palette that is restricted essentially to lighter or darker sand colours of soft brown but this includes natural brick floors, knotted timber planking on the walls, scrubbed pale wood on the top of the table and the carefully woven but rustic texture of the seats of the chairs. The only use of colour there is a deep blue of the PH 5 lamp over the table and a similar blue picked out in a framed print on the wall behind. What also struck me, looking through the images gathered together, is that the furniture is appreciated for it's shapes and silhouettes and is used in rooms almost as sculpture. Possibly that also explains two other aspects about buying the best of Scandinavian design ... an arm chair particularly, but also a table, has to be both well made and beautiful because it is given such prominence in the room. In many situations these pieces could be described as signature pieces because they are the recognisable works of widely-known designers so items of furniture are used much more like a famous print or a well-loved poster or a great photograph might be used in another country. Extended captions for the photographs give useful additional information that might otherwise overload the main text and, as an appendix, there are short but useful lists of stockists and suppliers in the UK and in the USA with a separate list of architects and designers whose work appears in the book. Above all, the photographs here show the wide range of styles that are grouped together under that heading Scandinavian.